What to get the person who has everything or just doesn’t want any “thing”? How about an experience gift of some sort? How about something creative where they learn something new? Or go somewhere and discover something new? There are lots of fabulous experience gifts to give to someone (or just give to yourself), or share together (often that’s the fun of the experience gift too). Experiences stir up emotions and make you feel more alive, they build social connections. Things clutter up your house, memories last forever. Why not think about an awesome experience gift this Christmas (or whenever you are looking for a fabulous gift for a friend, where you can make some great memories whilst learning a new skill. Meet local independent fashion designers and learn some of the fundamentals of personal style and colour with tours in Brunswick, Melbourne City and Fitzroy. Take a behind the scenes look at Melbourne’s vibrant fashion culture and see how some of Melbourne’s amazing independent fashion designers work. Meet the makers and discover local, ethical and sustainable options to the mainstream fashion offerings. 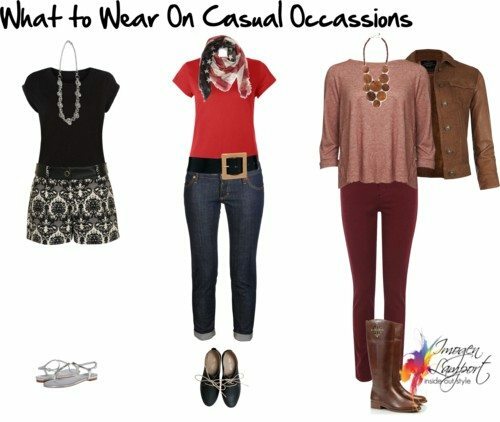 As you visit the different designers they will discuss how to incorporate various design elements into your outfits. And they’ll be available to offer personal colour and style advice throughout the tours and help you select something special from the places you visit. Fashion by Foot stands apart from ordinary shopping tours, it’s small an intimate and you get fabulous fashion advice from trained professionals. During this ‘walking workshop’ you will learn about aspects of personal style and what might work for you. Fashion by Foot are offering you a 10% discount if you mention INSIDE OUT STYLE BLOG when you email them about a tour! Get a handle on your style and wardrobe with another of my fantastic graduate stylist Ann Vodicka from Image Confidence. Ann offers fun and informative workshops on a number of topics including how to Shop Your Own Wardrobe, where you can learn to make the most of what you already own. Find out more about Ann’s workshops here. 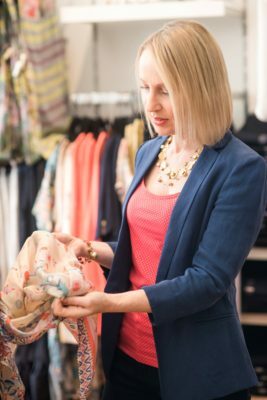 Ann also offers Personal Stylist Shopping Tours – where she and fellow personal stylist Susie invite you to discover local boutiques and get lots of great style tips on a fun day out in Sydney. 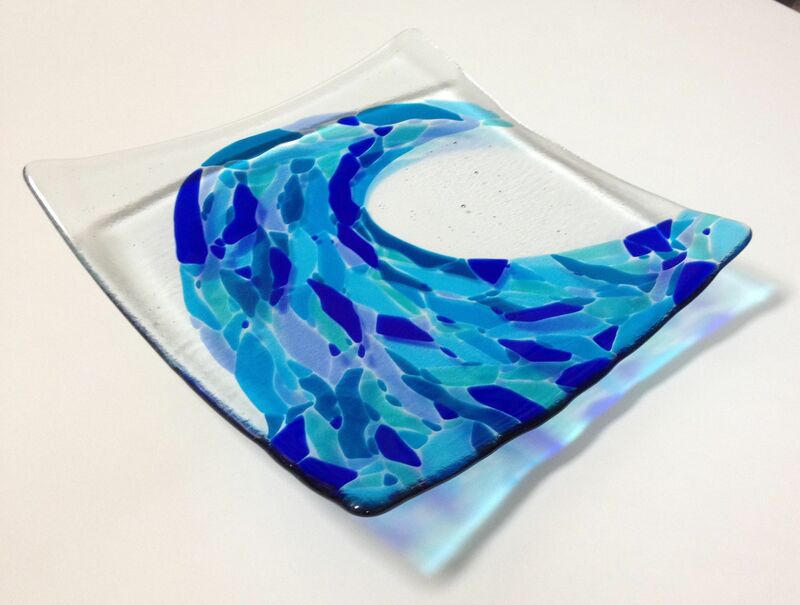 Learn how to make gorgeous fused glass pieces – glass artist Jenie Yolland has a wide variety of different workshops – you can make jewellery, platters, coasters, a heart of glass … plus more in her Richmond studio. This is the platter I made at the beginner’s workshop – not too shabby! Fused glass is simple (as Jenie says, if you can make an open sandwich, you can make some fused glass) and stunning. Check out her website for the variety of workshops she offers and you can purchase a gift voucher or book a class online. 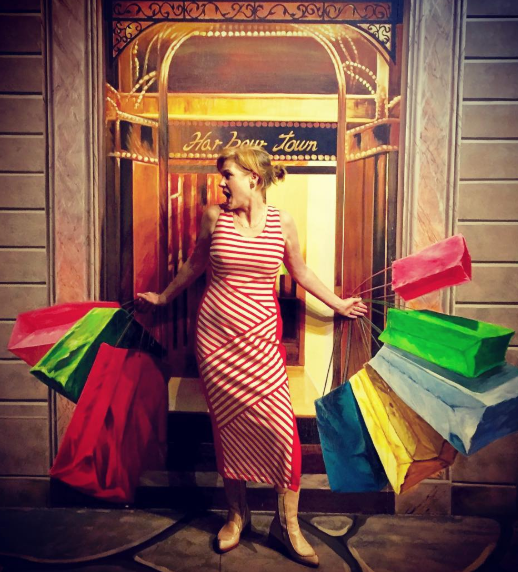 The Cloth Shop in Ivanhoe sells a gorgeous range of haberdashery and also offers regular sewing classes as well as one-off refashioning workshops with my brilliant dressmaker and friend Alfia Galimova. 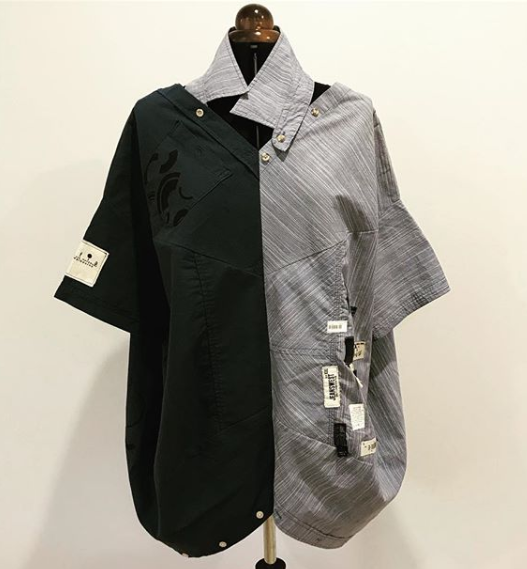 Sewing classes run daily through the week and workshops are advertised on their Instagram account. Brilliant concept (though I’ve not been to one yet – but plan to soon!) Life with Paint is a fun evening of eating, drinking and art. Where during a 2 hour event a host artist and assistant will offer step-by-step instructions on how to create a reproduction of the night’s chosen artwork. 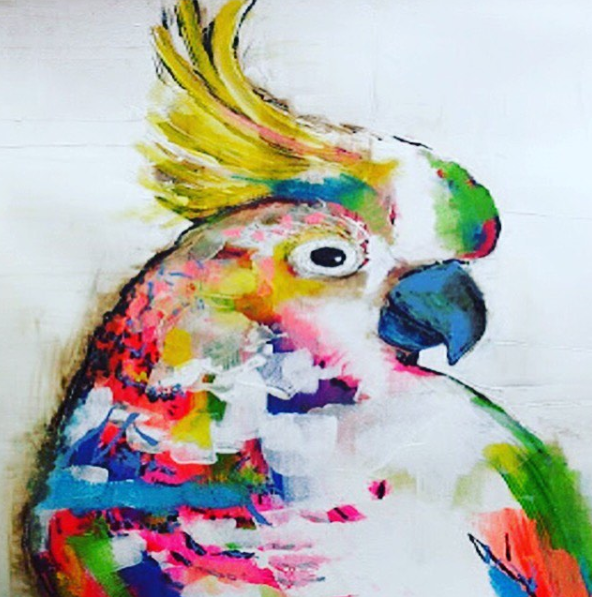 All materials are provided including paint brushes, canvas, paints, easel and apron – no experience necessary! Go with some friends, grab dinner at the chosen pub and then get your creative hat on as you paint the night away. These nights are run all over Australia at a variety of pubs. Find out more here. Simple to make, robust to wear – learn the art of resin jewellery making (that Dinosaur Designs have perfected). Learn pouring and mixing tips and techniques and how to finish your pieces. 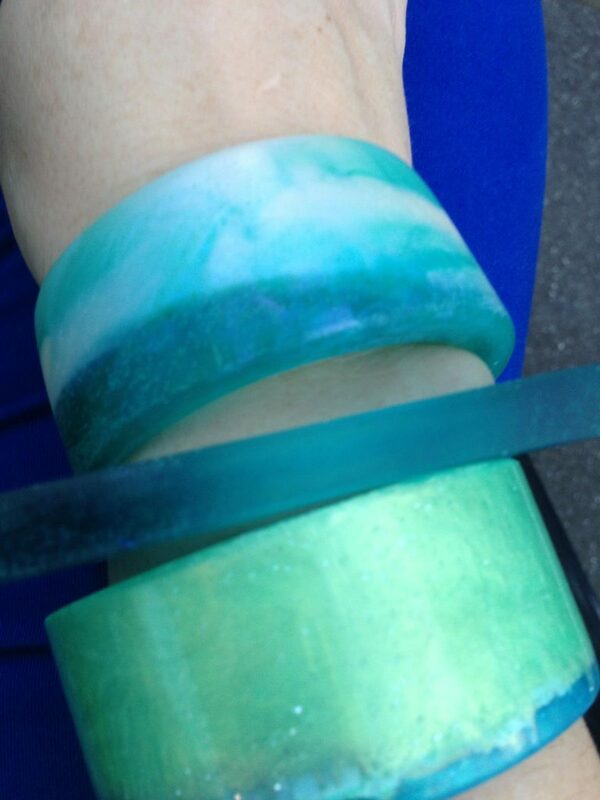 All tools and materials provided – take away some gorgeous resin jewellery at the end of the class. No experience necessary, find classes at Candu (Melbourne, Sydney and Brisbane) – find out more here. There are so many other experiences you can have – why not look for a class near your -from cheesemaking to dance classes, photography to floristry – the list is endless. 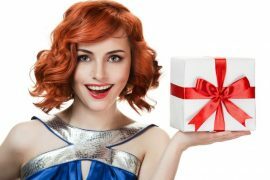 Enjoy the gift of a colour and style consultation this Christmas – take the guesswork out of shopping and really hone what it is that suits you with my colour, style, wardrobing and shopping online program. Send this link to your family to let them know what you really want this Christmas (or of course, give the gift of style to a friend or family member). This program will save you money, time and heartache as you discover your unique style. Oh that is so nice of you, Imogen! Thank you so much for mentioning my refashioning classes! Thanks so much for featuring our Fashion by Foot tours in your awesome gift experience list Imogen! We’d be delighted to offer your blog readers a 10% discount if they would like to email us at fashionbyfoot@gmail.com to let us know which tour they’re interested in and if they mention ‘Inside Out Style blog’. Superb ! what an amazing service and also so very different. A great gift indeed.